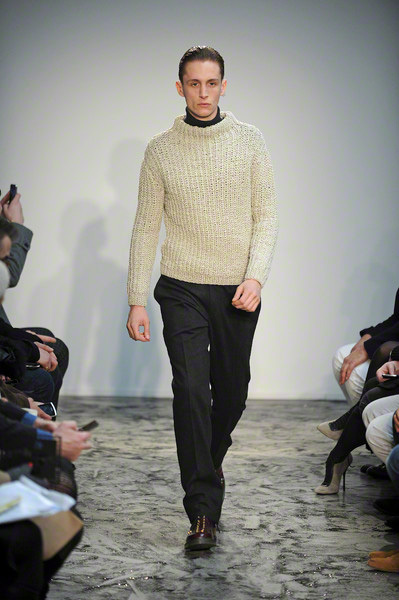 Backstage designer Alistair Carr told the press he didn’t want to be afraid of the brand’s heritage. 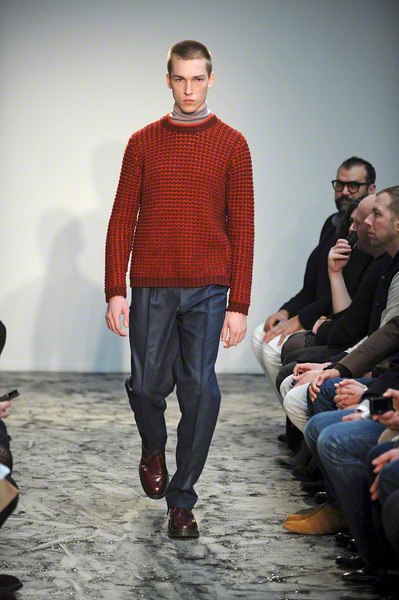 This lead to chunky tartan sweaters and lots of knit elements. 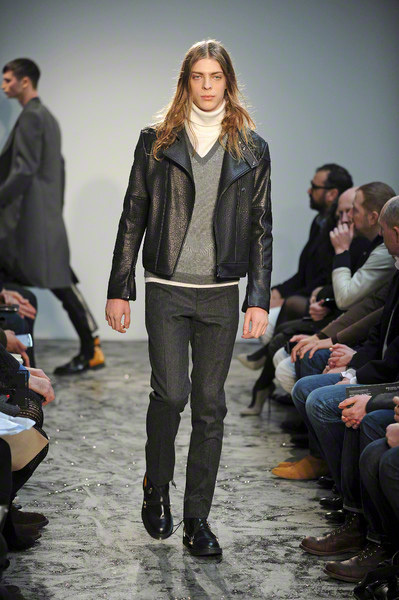 The knitwear was worn with perfect pleated pants, jersey leggings and even a few pairs of leather motor pants popped up. 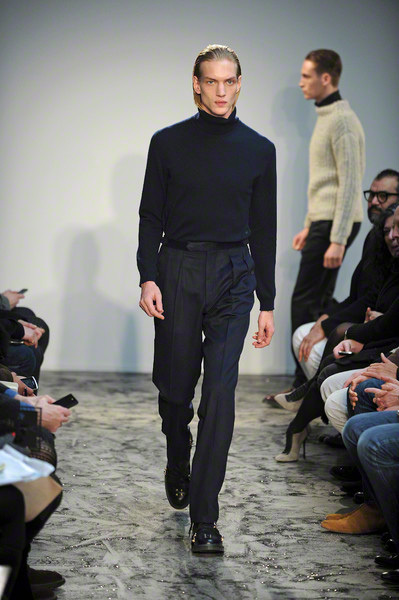 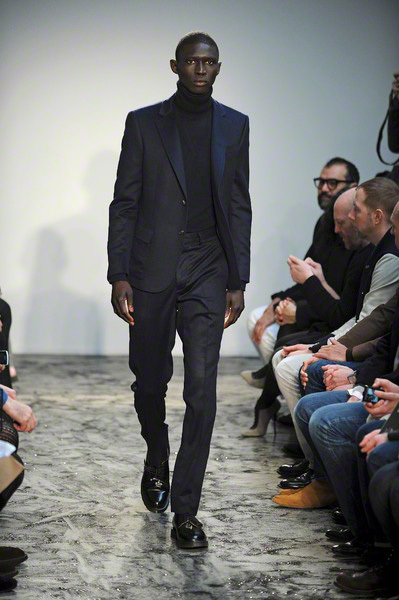 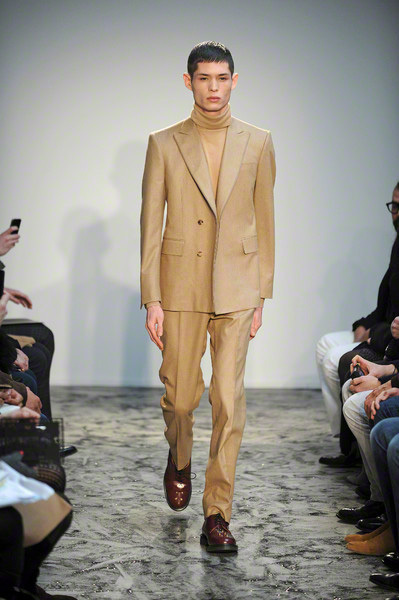 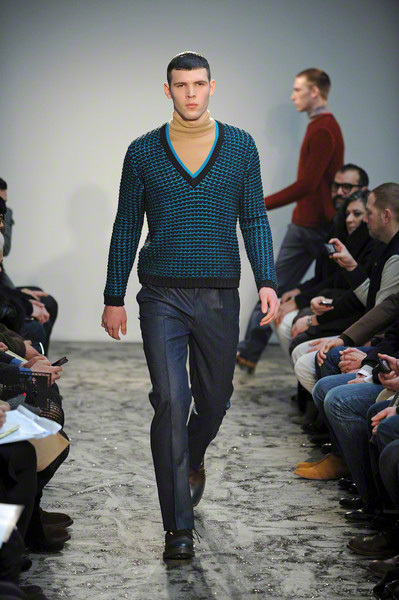 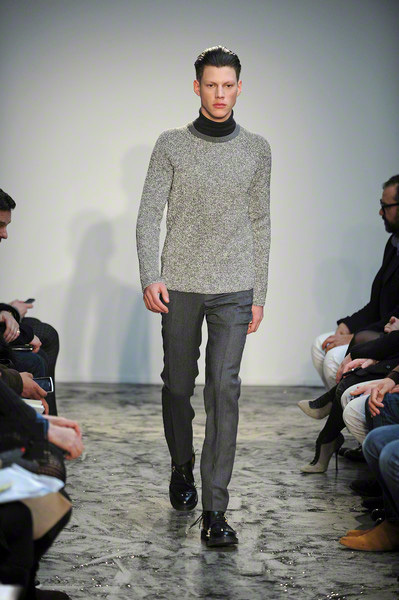 At Pringle too, the turtleneck made an appearance. 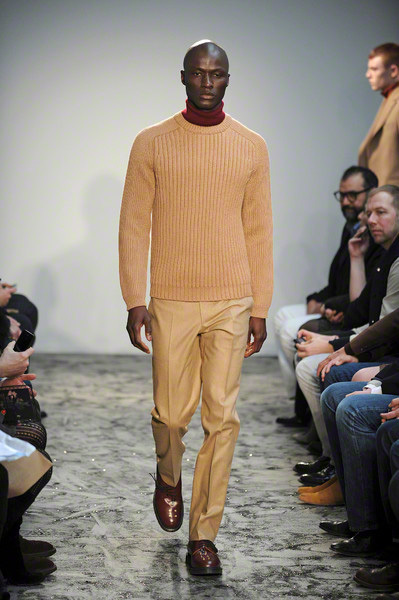 Yet Carr let his models wear them underneath a thick knitted sweater instead of a shirt, like the other menswear brands did. 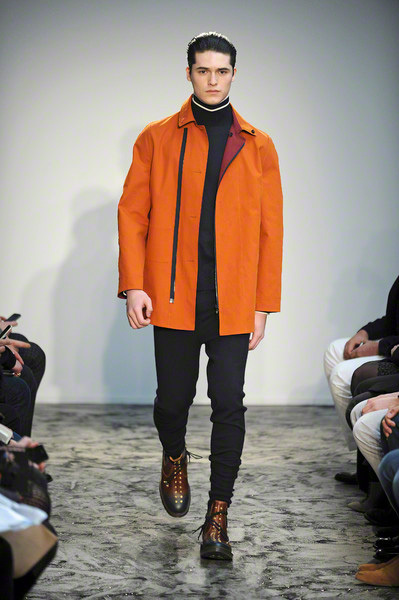 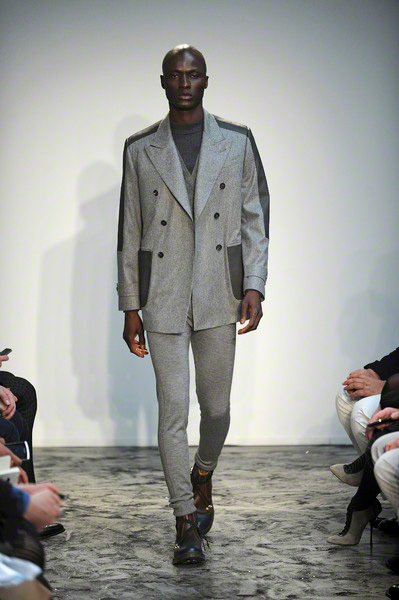 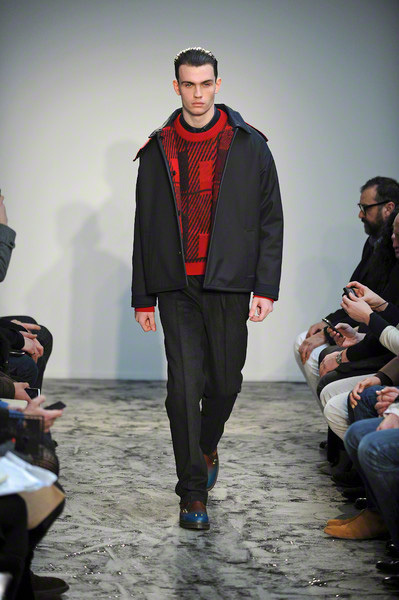 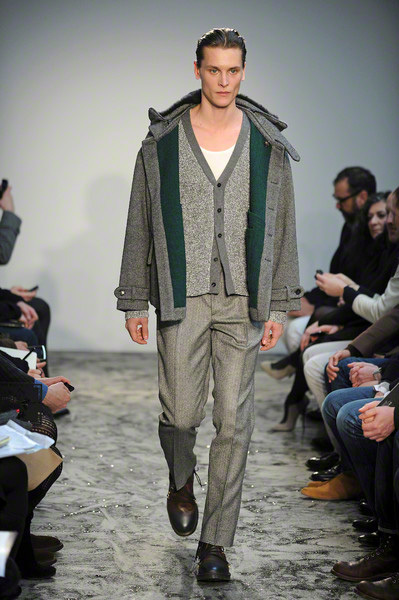 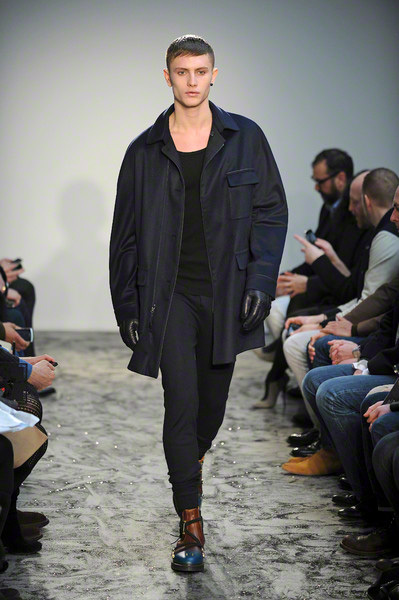 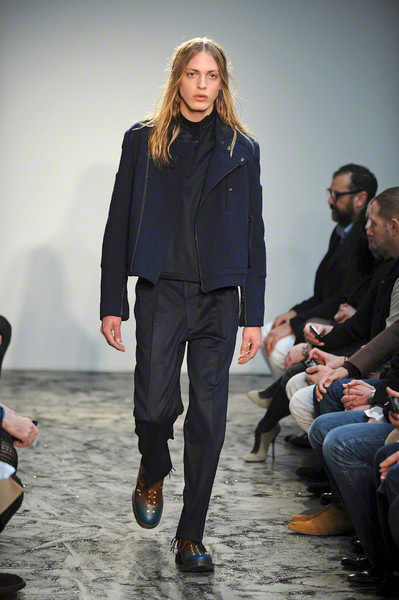 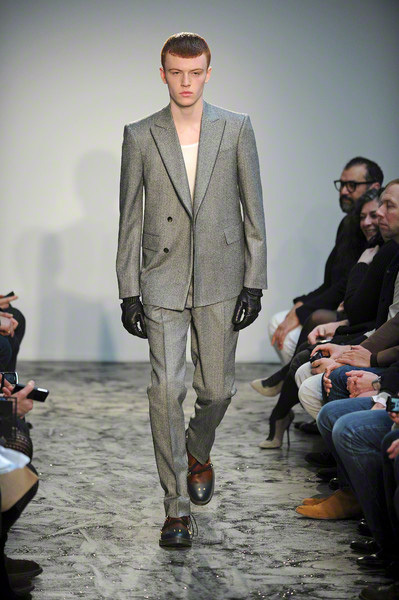 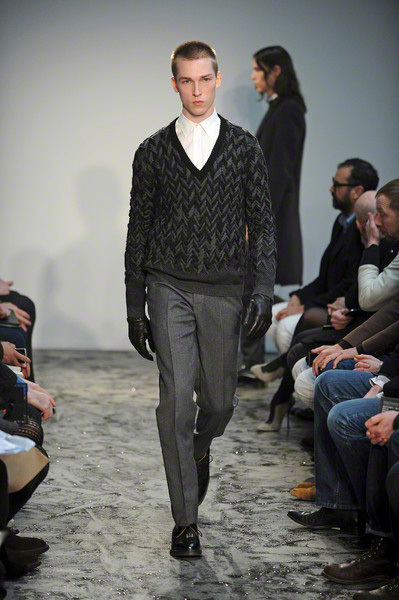 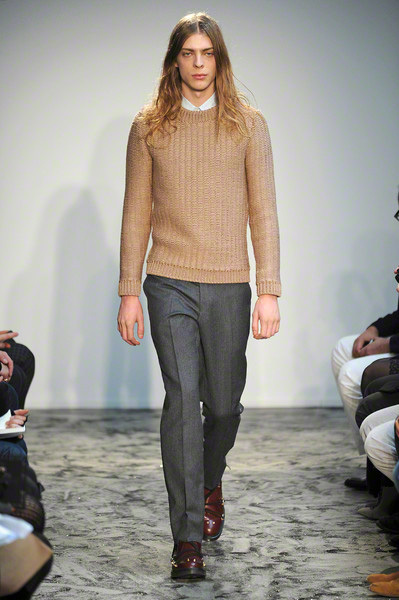 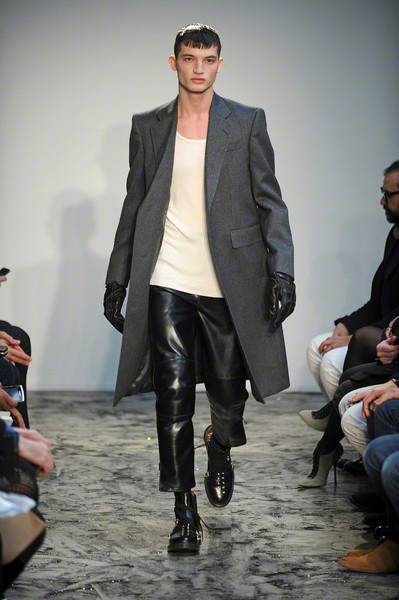 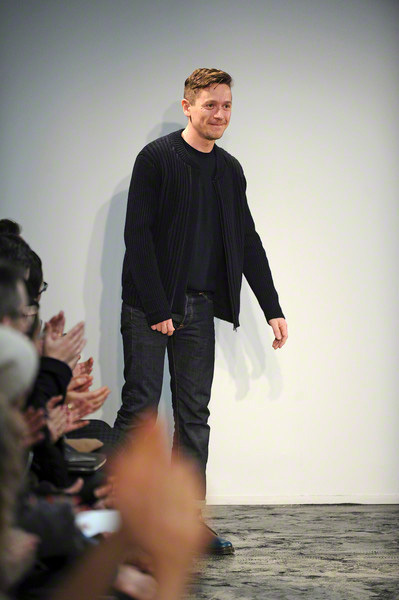 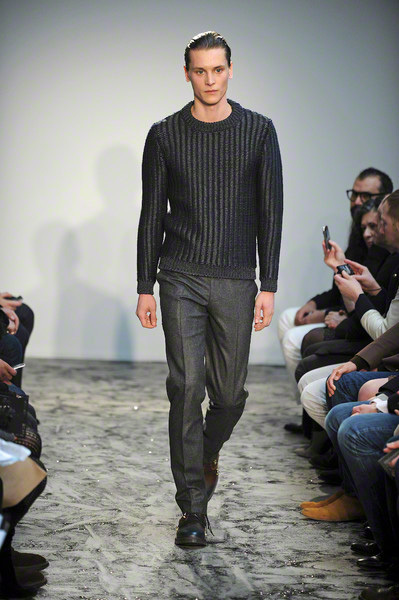 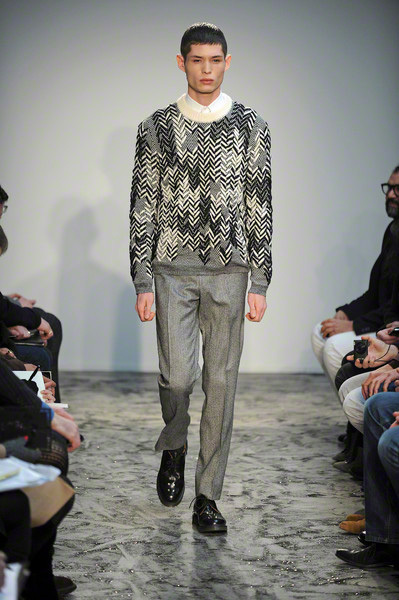 It was quite a pure and simple collection; some good basics were presented in the mix with the more outspoken pieces. 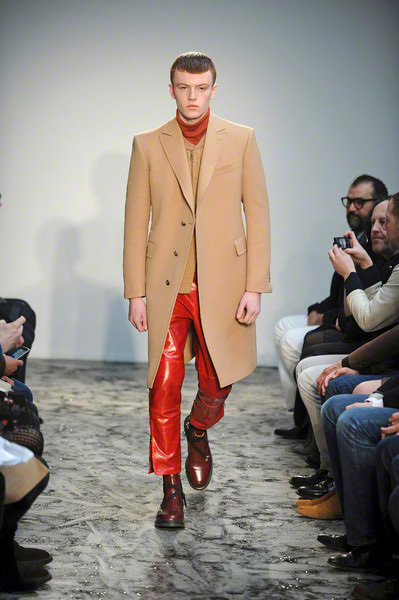 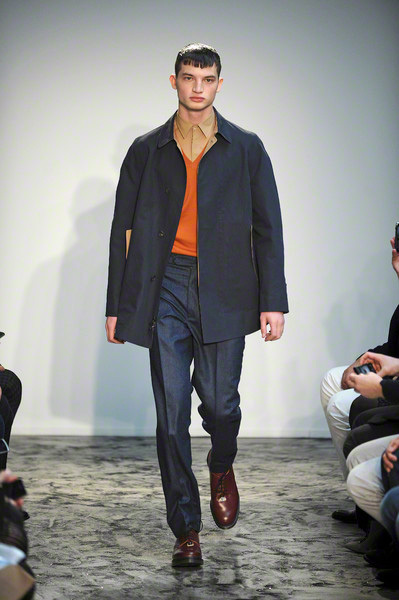 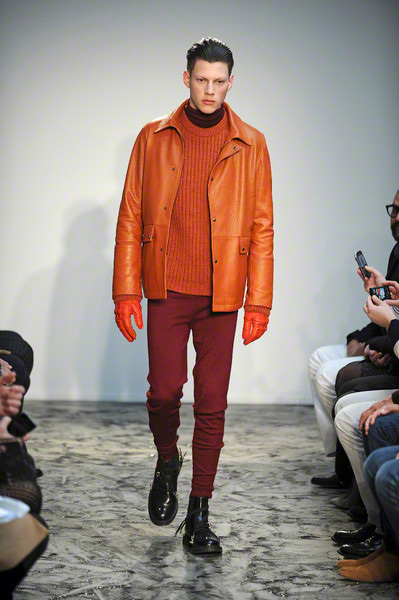 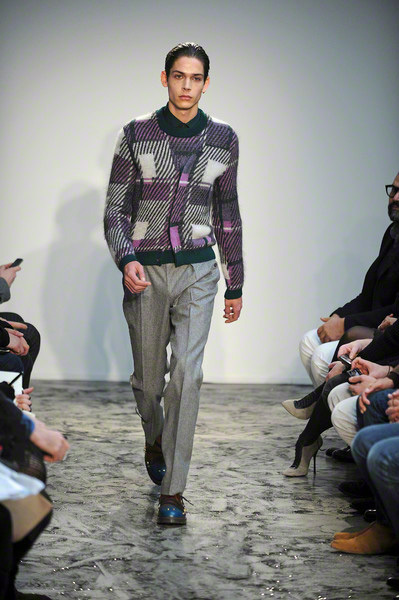 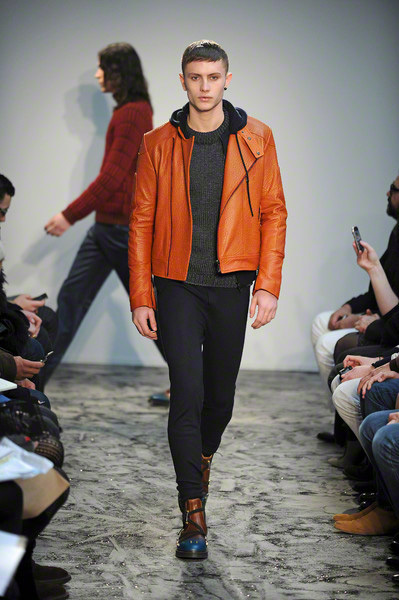 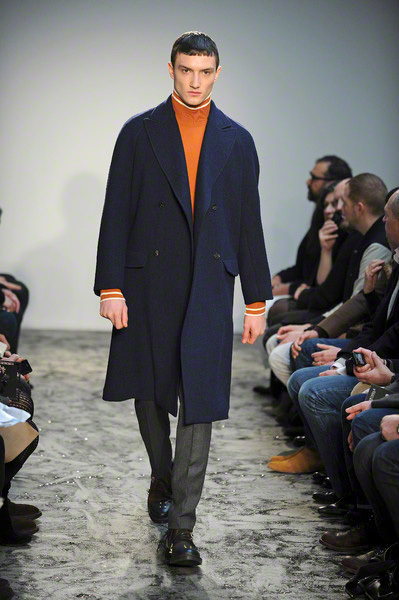 The color palette might have been more coherent (it formed a combination of warm autumn shades (orange, red, camel) and cool winter tones (grey, blue, pink)), yet there were more than enough solid items for every man’s fall/winter wardrobe.